I'm currently looking for betatesters (I've got two already, but the more the merrier) willing to test my game: Karma Flow - The Prototype (https://rpgmaker.net/games/9099/). 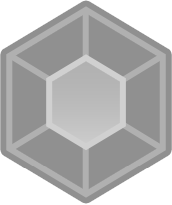 The game is going to be released by the end of the month, so I would like it to be betatested as soon as possible. Karma Flow - TP is a Short Open-Stealth Game that should last 2-3 hours without achieving 100% completion rate. I would like testers to focus their attention on the english translation of the game, to see if it has been done correctly. The release window is August, so I need this game to be betatested before August 31st. Preferably with enough time for me to apply proper fixing. The thing that bothers me the most is the translation. Betatesters should focus their attention on the dialogues, menus and such to check for translation's errors. Obviously, I would like the beta version not to be distributed. If you want to betatest, you are not to make the download link public. I thought about sharing some of my art with you. This one is pretty old, but I still like it a lot, despite its flaws. 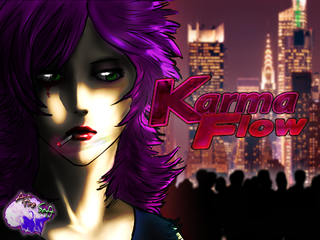 Promo art for my game Karma Flow. Not flawless, but I still like the composition. Artwork for one of Karma Flow's character: Pulcinella. 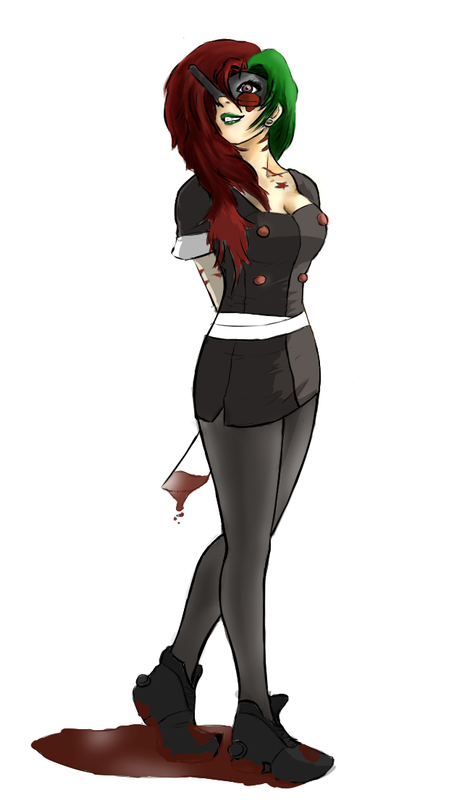 Concept art for the main character of Karma Flow: Florien Kealborn. I really need to improve the anatomy, here. "Thank you" artwork for 125+ download of the Italian version of Karma Flow. I'm from Italy, and I develop games for as long as I can remember, now. Together with game development, I like drawing a lot. My dream is to become a kickass artist someday! I'm currently working on an english translation for a game I released one year ago for a Short Game Contest. Should come out this month. 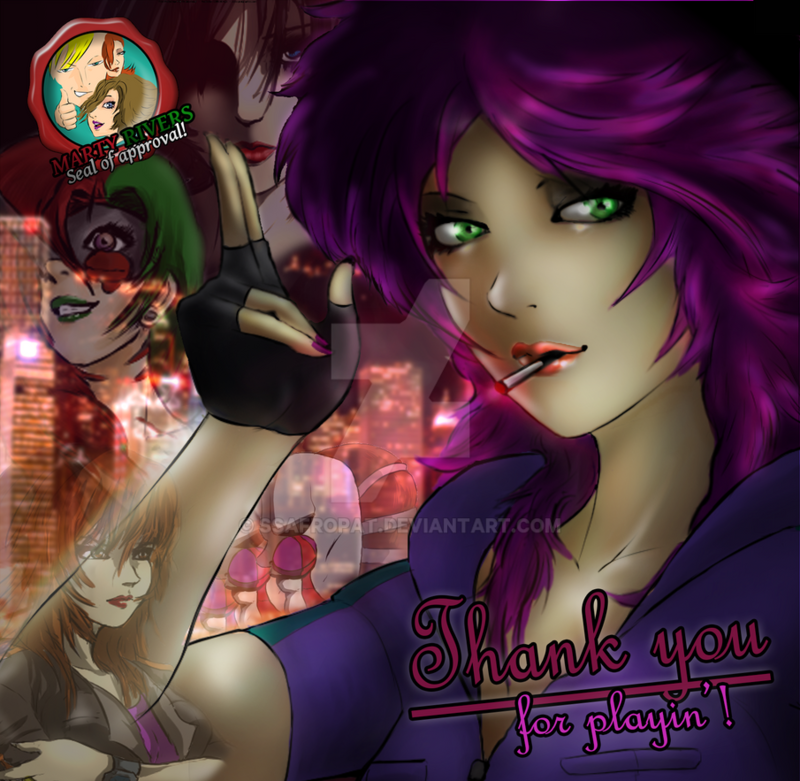 I've already made the gameprofile, waiting for it to be accepted.